February 2017 | Florida Law Advisers, P.A. If you are overwhelmed with debt, filing for bankruptcy may help bring some much needed relief. However, bankruptcy is not right for everyone and you should consult with a Tampa bankruptcy attorney before taking action. 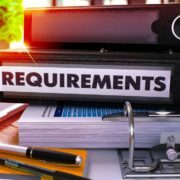 If you decide to move forward with bankruptcy there will be some requirements you have to satisfy prior to the bankruptcy court accepting your petition. Additionally, there will likely be costs to file Chapter 7, which must be paid prior to filing your case. For more information on the costs to file Chapter 7 or Chapter 13 bankruptcy contact a bankruptcy law firm in Tampa. In Florida, there are filing fees associated with filing either Chapter 7 or 13, no matter which area of Florida you file your case in. Filing fees in the Northern, Middle, and Southern Districts of Florida will all be the same, since it is federal law. Keep in mind that these filing costs are separate from any attorneys’ fees if you choose to hire a bankruptcy attorney to handle your case. The filing fee for a new Chapter 7 case is $335, and to reopen a Chapter 7 case, the fee is $260. If you want to convert your Chapter 7 business case to Chapter 11, there is a $922 conversion fee. The filing fee for a new Chapter 13 case is $310, and $235 reopen a Chapter 13 case. If you want to convert your Chapter 13 case to Chapter 7, there is a $25 conversion fee. You can access the fee schedule for the Middle District of Florida (Tampa Bay area, Jacksonville, and Orlando) at http://www.flmb.uscourts.gov/filingfees/, for the Northern District of Florida (Gainesville, Panama City, Pensacola, and Tallahassee) at http://www.flnb.uscourts.gov/sites/default/files/filing_fees/filing_fees.pdf, and the Southern District of Florida (West Palm Beach, Fort Lauderdale, and Miami) at http://www.flsb.uscourts.gov/wp-content/uploads/LRFG/Clerks_Instructions/Clerks_Summary_of_Fees_(CI-2).pdf. Whether you file chapter 7 or chapter 13, you must complete a “credit counseling course” within180 days prior to filing. Bankruptcy judges are very strict with this requirement. If you take the course more than 180 days prior to filing, the court will make you take the course again. A bankruptcy attorney in Tampa can help you locate schools approved by the Court in your area. a list of all your creditors, the nature of the debt, the amount owed to each, and their mailing addresses. Your source of income, how often you are paid, and how much you are paid. Additionally, the same income information will be required for your spouse. Your spouse’s information is needed even if your spouse is not filing bankruptcy with you. This is required in order for the court, the trustee, and your creditors to determine your household financial situation. A list of all your property (including real estate and personal items). A detailed list of your monthly living expenses, such as food, shelter, clothing, transportation, taxes, medicine, etc. These expenses must be reasonable and necessary for family maintenance. If you have questions about the costs to file Chapter 7 call us for help. At Florida Law Advisers, P.A. we understand that filing for bankruptcy can be a very confusing and intimidating process. That is why we work so hard to make the process as easy as possible for our clients. When you hire Florida Law Advisers, P.A., you get an experienced Tampa bankruptcy lawyer by your side throughout every phase of the bankruptcy process. We will help ensure your rights are protected and keep you well-informed every step of the way. To schedule a free consultation with a bankruptcy lawyer in Tampa call us today at 800 990 7763. As child support attorneys, we are commonly asked by our clients, how to enforce child support in Florida. Under Florida child support law, each parent of a child has a duty to provide support. That duty exists regardless of the existence of a marriage between the parents of the child. The first step to enforce child support in Florida is to bring a court action for child support. A child support order issued in Florida (or any other state) is a legally-enforceable court order. The order should require periodic payments of support at a specific amount. The amount and duration of the child support payments will be based on Florida’s Child Support Guidelines. For assistance with the Guidelines contact a family law attorney in your area. Florida has very strict child support laws to ensure that a parent is paying their required amount of support. Sometimes, the noncustodial parent refuses to pay child support, and the custodial parent must ask for help in order to collect the money from the non-custodial parent. There are several options a parent can choose to enforce child support in Florida. The Florida Department of Revenue governs the enforcement of child support obligations in Florida. There are many different options the Florida Department of Revenue has to enforce child support. 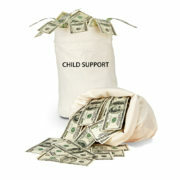 Additionally, you can seek the assistance of a private family law attorney to compel enforcement of the child support. The following are ways that Department of Revenue can help enforce child support in Florida: send notices of late payments, send notices to withhold payments to the parent’s place of employment so the payments would come directly out of the parent’s pay check, suspension of driver’s license, the parent’s federal income tax return or lottery winnings above $600 can be seized to pay the child support order, the amount owed can be deducted from benefits from reemployment or workers compensation, or the amount can be garnished from bank accounts or other accounts of the parent’s. A family law attorney in Tampa can also file a motion for contempt and request a Florida family law judge issue additional penalties for the nonpayment of support. There are alss options in which the money is not taken from a source of the parent’s income. Those options are as follows: there can be a lien placed on the parent’s personal property such as a vehicle or boat, the obligations can be reported so it shows up on the parent’s credit report, or the parent can be denied a passport until the payments are made. Further, if the parent is able to pay and refuses, the parent may be held in contempt, fined, incarcerated, or a combination of those until they pay their past due child support obligation. Additionally, a Florida family law judge can order delinquent parents to reimburse the other parent’s attorney’s fees and other expenses related to the motion for contempt. A skilled family law attorney can make a big difference in actions to enforce child support in Florida. If you are owed back child support, seeking to modify a child support order, or need to defend against an unjust child support request contact Florida Law Advisers to speak with a child support attorney in Tampa. Our professional legal team is passionate about these matters and will work diligently to fight for what is fair. With our experience in family law litigation we are more than ready to aggressively litigate for your rights. Call us today at 800 990 7763, we are available 24/ 7 to answer your calls. Bankruptcy clients commonly ask us what happens to assets when filing bankruptcy. When you file bankruptcy, you will hear the phrase “property of the estate” a lot. This means that everything you have a legal or equitable interest in as of the date you file your petition will belong to the bankruptcy estate. See U.S. v. Whiting Pools. If you have assets that are property of the estate, you run the risk of being forced to liquidate the assets in Chapter 7. Therefore, you should consult with a bankruptcy attorney before taking legal action. Bankruptcy can be very helpful but it requires careful planning and knowledge of bankruptcy law. A bankruptcy attorney in Tampa can help you get the most relief possible while protecting your assts. What happens to assets when filing bankruptcy if you do not possess the asset? Even if you do not physically possess a piece of property that you own at the time you file your petition.For example, your sister uses a vehicle that you own outright and you never drive it, that asset may still be property of the estate, even though you do not physically have it any longer. Another example of something you may have a legal or equitable interest in as of the date you file your petition, is if you work pre-petition (meaning before you file bankruptcy), and you earn that income post-petition (after you file your petition), that income is property of the estate and belongs to the trustee because you had legal and equitable rights to that income prior to filing your petition. Determining which assets may be considered property of the estate in a Chapter 7 or Chapter 13 case requires careful consideration. It is highly recommended to consult with a bankruptcy attorney in Tampa before taking action. Failure to properly plan for your bankruptcy may have devastating consequences. For instance, if you were to file Chapter 13 bankruptcy, everything you purchase post-petition will be property of the estate because the whole point of Chapter 13 is to bring in post-petition assets to help reorganize and repay your debt. In either a Chapter 7 or 13, if you inherit money within 6 months after filing your bankruptcy petition, that money becomes property of the estate as well and you may not have a right to keep it. However, there are several items that never become property of the bankruptcy estate and you get to keep. These items include: funds in an individual retirement account, no later than 365 days before the filing of your petition; employee benefit plans; health insurance plans regulated by state law; any interest you may have as a lessee under a lease of nonresidential property; deferred compensation plans; and tax-deferred annuity. Also, if you work post-petition and earn income post-petition, that income you earned is not property of the estate; you get to keep it. See bankruptcy law 11 USC 541. For more information on what happens to assets when filing bankruptcy contact a bankruptcy law firm in your area. If you are having a difficult time meeting your financial obligations Florida Law Advisers, P.A. may be able to help. Florida Law Advisers, P.A. is a customer service based law firm committed to providing personalized attention and dedicated legal counsel. Our Tampa bankruptcy lawyers have years of experience helping people just like you solve their financial problems and obtain a fresh start. For a free, initial consultation contact us today at 800 990 7763 or complete the free case review inquiry. The Chapter 7 process is the shortest termed bankruptcy that you can file. A Chapter 7 case typically takes about 90 days, depending on how many assets and creditors you have. If you have several assets, your case may take longer because the trustee may need to investigate them more closely. Regardless, a bankruptcy attorney can expedite the Chapter 7 process and help you obtain a fresh start. For more information, you should contact a bankruptcy attorney in Tampafor specifics about your circumstances. The first step in the Chapter 7 process is to complete a credit counseling course. This course must be completed 180 days prior to filing the petition for Chapter 7. There are numerous pre-approved agencies that offer this course. You can find a list of approved agencies in in Florida by going here: https://www.justice.gov/ust/list-credit-counseling-agencies-approved-pursuant-11-usc-111. 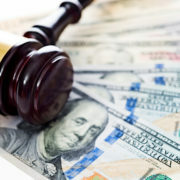 A bankruptcy attorney in Tampa can also provide advice on which local agencies offer the course. The second step in the Chapter 7 process is to file a voluntary petition for Chapter 7 and accompanying schedules. 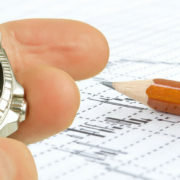 Your schedules are an organized and compilation of your assets, debts, income and expenses, etc. It is very important to make sure the petition and schedules are done correctly. If you have any doubts about how to properly complete the documents contact a bankruptcy lawyer for advice right away. Once you have filed your petition, an “automatic stay” will take effect, which stops all collection actions against you. For example, if you have a foreclosure sale pending on your home, once you file your petition, the creditor must stop its foreclosure efforts due to the automatic stay that has been put into place by the bankruptcy court. The automatic stay may also immediately stop a court ordered wage garnishment without the need for additional court hearings. Next step in the Chapter 7 process is to attend a 341 Meeting of Creditors. This is a meeting that your trustee will set (and you must attend) as a way for him or her and your creditors to ask you any questions they wish, under oath, regarding your petition and schedules. See bankruptcy law 11 U.S.C. § 341. Creditors rarely attend the 341 Meeting. Clients normally don’t need to worry about a bunch of bank representatives or attorneys attending. If any creditors do show up, they are usually individuals (like an ex-spouse, family member, or friend) who you owe money to and want their voice to be heard. You also have the right to have your bankruptcy lawyer present with you at the 341 Meeting. After you attend your 341 Meeting, creditors must file their “proof of claim” forms within 90 days of your first scheduled 341 Meeting. This is a form that unsecured creditors must complete and file with the court in order to receive any money from your bankruptcy. If they do not file a timely proof of claim, then they lose their claim and will not be paid. The next step in the Chapter 7 process will be for the trustee in your case to collect any of your non-exempt assets, auction them off, and distribute the proceeds from that sale amongst your creditors who filed valid proof of claims. Exempt property is property that you do not have to forfeit when filing for bankruptcy and are entitled to keep. Before you file for bankruptcy or take any other debt relief measure it is important to know which exemptions you qualify for. The amount and type of exemptions you are eligible for may greatly impact your decision on whether or not to file for bankruptcy, and if so either Chapter 13 or Chapter 7. After completion, the debt will be discharged forever and there is nothing creditors can do about it. Remember, there are certain debts that are non-dischargeable, such as child support, alimony, and student loan debt. After receiving adischarge, you can choose to pay back any debt voluntarily, but you cannot be forced to do so by any creditors. If creditors start calling you again after you receive your discharge, you may have a legal remedy against those creditors. There are many different forms of alimony which are available under Florida divorce law. A common form of spousal support is durational alimony in Florida. The amount and length of durational alimony in Florida is determined on a case by case basis. Therefore, if you need assistance with a particular case or set of circumstances contact a Tampa divorce lawyer for legal advice. The purpose of durational alimony is to provide financial assistance for a set period of time following a divorce. Generally, durational alimony in Florida is only awarded for moderate or long term marriages, if there is no need for support on a permanent basis. A marriage of long duration is presumably seventeen (17) years or longer. A marriage of moderate duration is presumably between seven (7) and seventeen (17) years and a marriage of short duration is presumably less than (7) years. The classification of a marriage being short, moderate, or long in duration is presumed to be consistent with the numbers given above, however, the presumption can be overcome due to certain circumstances. See Florida divorce case, Fichtel v. Fichtel. For information on the circumstances that may warrant a deviation speak with a divorce lawyer in your area. In any award of alimony, the court may grant periodic payments or payments in lump sum or both. Typically, durational alimony terminates upon the death of either party or upon the remarriage of the party receiving alimony. The amount of the alimony award may be modified or terminated upon a substantial change in circumstances. See Florida alimony law 61.14. The only way for the length of the alimony award to be modified is under exceptional circumstances. For durational alimony, the duration or modified duration of the alimony award may not exceed the length of the marriage. The length of the marriage starts on the date of the marriage and continues until the the filing for divorce. 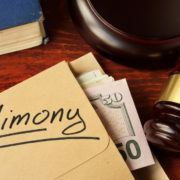 If you are seeking durational alimony in Florida or trying to prevent being ordered to pay alimony contact Florida Law Advisers to speak with a divorce attorney in Tampa. Every divorce and alimony case is different, and our vast experience allows us to cater our services to each client’s individual situation. With years of experience in litigation, we are more than ready to present a compelling case on your behalf and stand firm for what is fair. To speak with a divorce attorney at our firm call 800 990 7763 to schedule a free consultation.